Other members of the B series family include the MS2723B that covers up to 13 GHz and the MS2724B that covers up to 20 GHz. 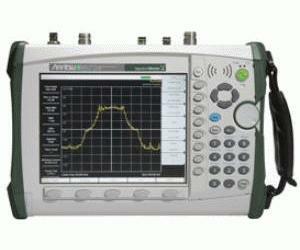 Options for this instrument enable the user to add WCDMA, GSM, GPRS, EDGE, and HSDPA measurement. Options for measuring and demodulating fixed WiMAX signals are available. The tracking generator option delivers specified performance from 400 kHz to 7.1 GHz. A GPS receiver can be added to allow measurements to location-stamped and to greatly improve time base accuracy.